Welcome to the DGC Roundtable, a new weekly feature on the hot topics of the moment. The series will be monitored by our current intern, Jamie Kurke. Each week, we will ask our team to respond to a question and share their POV on the top stories. How should the NFL heal its reputation – with fans and with brand sponsors – in the aftermath of the Ray Rice investigation and other off-the-field incidents? The NFL needs to start by practicing what they preach. If they have a zero tolerance policy, there is no reason why Adrian Peterson and Greg Hardy should be playing in this Sunday’s games. If the NFL can stop contradicting themselves, they may stand a chance in healing its reputation, but until then it seems unlikely that fans and sponsors will be able to trust the brand. No sport is without scandal, and like any brand suffering a dive in reputation the NFL should be looking into making some tangible changes to its business that can be communicated to its stakeholders – the players, the administration, the fans, the general public and of course, the media. Scandal of this scale can’t, and shouldn’t be covered up. It should be faced with transparency, an authentic commitment to change and a steady flow of communication. Some “good news” stories about players and clubs doing the right thing, shared at the right time, wouldn’t hurt them either! Don’t get me started on New York Post covers with “Ray Rice has found God” headlines – desperate last-ditch pleas to religion are never a good idea. I’ve been really surprised at how brands are reacting to the Ray Rice debacle. While some have pulled sponsorships from Rice already – understandable – some are really taking their time and waiting out final decisions from the NFL before making any changes. In some cases, it could say something about what a brand stands for, but it’s also a business and the NFL is a big name to have on your roster. In this case, I think most brands are reacting smartly and treading lightly, gathering all of the facts and waiting before making big decisions. I will say…some unaffiliated brands aren’t doing so hot – looking at you DiGiorno with that #whyistayed tweet. It’s been a tough few weeks for the NFL. While there is a lot of accusations going around, the one clear point is that the league hasn’t acted quickly enough — for it’s players or for it’s sponsors and owners. Roger Goodell spoke late on Friday afternoon, which is known for being a bad time for press, and laid his claim to fixing this. Only time will tell if it will, but the two weeks in between the Ray Rice video leak and his public response was too long. Only time will tell if they have truly righted the ship. What TV Shows Will You Likely Watch This Fall? Every fall TV season brings hits and misses – and the crop of new shows this year is no different. With the week of premieres on the horizon, Gary Reisman, CEO of brand strategy and content alignment company NewMediaMetrics, sat down with Lynette Rice, West Coast News Editor of Entertainment Weekly and host of “Inside TV” on Sirius XM 105, to reveal top insights and predictions from his company’s 2013 LEAP™ TV Study. For the past seven years, NMM has made these predictions with more than 80 percent accuracy by measuring consumers’ Emotional Attachment (EA) to show concepts – a nod to how the media industry should assess content with an evaluation at the front end of the production process. On the EW radio show, Gary talked about the shows most likely to miss the mark with audiences this season and refuted the suggestion that this process could take the creativity out of content creation. Listen to an excerpt from the Sirius interview with Gary here and here. This week, NBA free-agent center Jason Collins made headlines, plus tweets, posts and heads, who talked about his announcement as the first male pro athlete in a major sport to publicly address his sexuality. It’s a landmark occasion for a previously unspoken topic in sports, as the conversation continues to grow and become more open within our society. We were particularly struck by the method of his announcement. He called it out best in his Sports Illustrated piece: “The announcement should be mine to make, not TMZ’s,” Collins wrote. 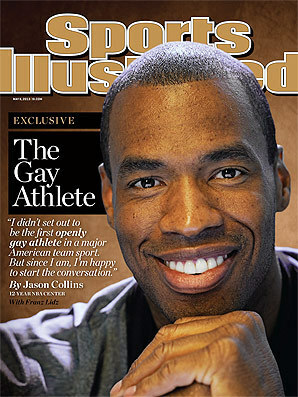 In an age where news breaks in 140 characters rather than a 3,000-word magazine piece, where the news usually isn’t directly from the source, Jason Collins was able to control his message and explain it his way. It was a brilliant strategy that all PR pros should recognize and try to achieve in executing plans on behalf of high-profile clients, who may be making controversial announcements. The other part of Collins’s news that we appreciated was its authenticity, particularly coming from the world of sports. Collins didn’t “tell-all” to Oprah, reveal a “decision” on ESPN, or be behind an “uncovered scandal” on Deadspin. His article was a personal, heartfelt piece written for one of the most respected sports publications in the country. There was no immediate video to re-watch. No one tweet that everyone can re-tweet; just a traditional well-written personal piece. Collins expressed everything he wanted to say, and now he can move on to the next round of this PR initiative. The article was posted online Monday, will be on newsstands Wednesday, and it’s already a topic of conversation everywhere else. The TV interviews, the online Q&A’s, and more, are all starting. Jason Collins already appeared on Good Morning America this morning. Bravo Jason, for controlling your message, staying true to yourself, and for standing up on an important topic within our society. Last week, DGC welcomed Antonia Harrison, Account Manager with our sister agency Eulogy!. Antonia was E!’s winner of our inter-agency Rising Star program, a contest offering the opportunity for a DGC’er and a Eulogite to spend a week across the pond at their respective sister agency. The charge was twofold – for each winner to share how PR is handled in their homeland, as well as learning the differences in PR (and culture in general) in their weeklong home away from home. Below, Antonia shares with us some of her insights on how to “PR” in the U.K.
After spending a week at DGC, Antonia talks through her top (surprising!) learnings of how PR works in the U.S. There were some distinct differences and many similarities but across the board PR (in the U.K. or the U.S.) is all about understanding the news, finding those great story nuggets, maintaining stellar reporter relations and proactively securing placements. Twenty years ago, as a young PR buck, I was tasked with creating a strategy to help McDonald’s leverage its Super Bowl XXVII “Nothing But Net” spot. I knew we had PR gold in our hands when the storyboards included Michael Jordan and Larry Bird in a game of HORSE. Slam dunk! What wasn’t a slam dunk at the time was my idea: invite select media on-set (Entertainment Tonight, ESPN, a few others) to capture interviews with Jordan, Bird, director Joe Pytka and behind-the-scenes footage for segments that would air BEFORE the game to build anticipation and consumer engagement. The heated debates at the Golden Arches over a concept that seemed heretical at the time were unforgettable. But, we hit pay dirt that year with phenomenal pre-game PR and a USA Today Ad Meter victory. It arguably kick-started what today is considered the first page of the Super Bowl Commercial PR Playbook. In fact, now NOT finding ways to gain exposure for a brand’s Super Bowl spot before the game is considered heretical. In this video interview with International Business Times, Rapp Chairman Global Chairman and CEO Bob Horvath discusses Olympics-related advertising trends and touches on the upcoming presidential election. Overall, the industry is seeing an incremental ad spend of $5 billion to $7 billion for the May-November 2012 period because of these two events, Bob tells reporter Marias Krystian. In this Adweek piece, New Media Metrics Co-Founder and Principal Gary Reisman discusses the differences between blacks and whites when it comes to brand loyalty. African-American consumers are more emotionally attached to brands than whites, especially when it comes to media brands, according to the latest New Media Metrics study.We also saw some significant campaign news this past week. Featured here is a MediaPost/Marketing Daily article about a new campaign for the Kimberly-Clark Scott brand led by Chicago-based Trisect, an ad agency with a “retail-first” approach. Aaron Noffsinger, a Trisect creative director, says people have a value radar, or “value sense,” for which Scott wants to rewards them. The ad industry is nothing without its people. 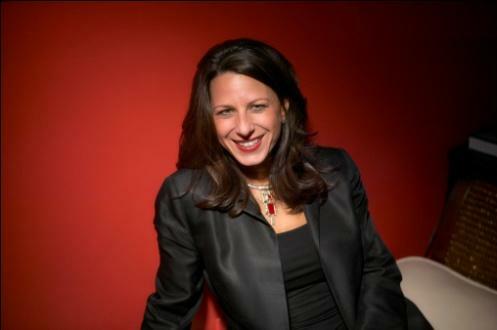 In this Ad Age column, Nancy Hill, president-CEO of the American Association of Advertising Agencies (the 4A’s), explains the need to educate young people about career opportunities in our industry. Nancy cites an Arnold Worldwide study that found that young people don’t know how they can apply their tech and entrepreneurial skills to advertising. In an era where high-tech companies such as Google and Facebook get so much play, the ad community needs to eagerly welcome and train tech-savvy young recruits. Interested in seeing additional media coverage generated by DGC? Check us out on Twitter and Facebook, and check out our blog next week, when we will have another such round-up. And if you liked this article, please share it. Thanks! From PowerPoints to cover letters, correct grammar and spelling are the lowest common denominators when it comes to mastery of the English language. Good copyediting skills are critical to any organization or writing endeavor. We were reminded about the value of copyediting this week after Mitt Romney’s team released an iPhone app that spelled “America” as ‘Amercia.’ One of the unspoken rules of running for President is being able to correctly spell the country you’re trying to run. While I’m confident that Mitt didn’t write this app himself, it goes to show how effective copyediting can make a difference between a strong pro-candidate tool and a small PR crisis. 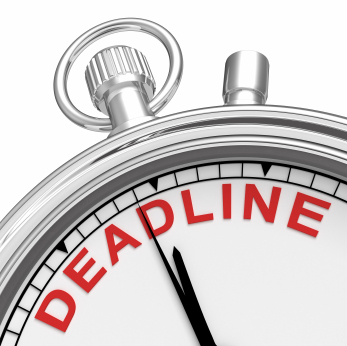 With this in mind, I asked The Hit Board’s resident copy editor, Kathy Sampey, to talk about some strategies and tips when they copyedit press releases, bylines, and even this blog post. How did you learn to effectively copy edit? Was it from class, work, or just something you were always able to handle? Kathy Sampey: I’m not a “copy editor” per se. It’s a very specific skill, and people do it professionally. But yes, I first learned copyediting symbols in a college journalism class and became better at editing in general from working at the Associated Press. What process goes into your copyediting? Is it on the screen, on paper, do you need private space and silence? KS: First I give a piece of copy a read-through on screen but have discovered that printing something out to proofread and edit is far more effective. I catch a lot more to correct. When I print something out, I need to go to a quieter space to concentrate. In the instance of Romney’s “Amercia” incident, how do you avoid easy pitfalls such as misspelling and incorrect word usage? KS: Everyone needs an editor. Everyone. So I would recommend always having a second or even a third pair of eyes proofread a piece of copy and by all means, print it out for people to review it. When you do make an error and it’s published, how do correct it? Any good stories around errors? KS: Yes, but I’m not sharing. Are there any tips you could share to aspiring copy editors out there? KS: That would be best answered by professional copy editors but it’s good to at least be familiar with AP style. Thanks to Kathy for their contributions. Remember – always, always, always have a second pair of eyes review your work before having it post. DiGennaro made the observation during a co-presentation with Melanie Wells, her company’s managing director and chief content officer, at the Mirren New Business conference on May 3 in New York’s financial district. “Creating Buzz for Your Agency,” their 40-minute break-out session to a packed room, offered practical and actionable guidelines for getting news coverage in the increasingly complex media marketplace. DiGennaro and Wells outlined how to align a PR strategy with the agency’s new-business goals, which should also include raising the profile of the C-suite, building pride of place, recruiting star talent and establishing category expertise. In the age of social media, it’s easier than ever to raise an agency’s profile outside traditional media outlets, Wells said. But first, the agency must have or develop a platform—what the company stands for. From the platform, the agency’s leaders can offer their points of view through blogs or guest columns in select outlets. Wells told the story of how DGC client BzzAgent felt it had lost its “cutting-edge” quality. DGC worked with and developed a unique platform for CEO Dave Balter that repositioned him and the company in a more positive light. Balter admitted during a PR strategy session that he made some ego-based decisions that hurt his company, Wells said, and she worked with him to develop his platform, which became “The Humility Imperative.” Shortly thereafter, reporters were calling him for insights, and he was making the rounds on the speaking circuit. Last year, a unit of Tesco bought BzzAgent.